Eighty teller cages once lined both sides of the upper banking all. This view is taken at the south wall near the Michigan mural looking south to the metal gate to the lower main lobby. 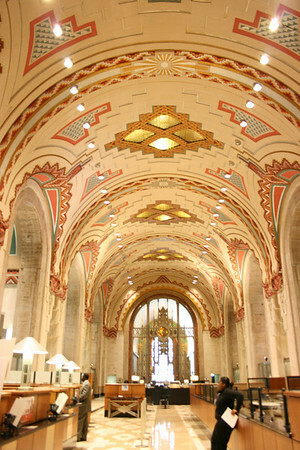 Geometric designs in the vaulted ceiling are repeated in the floor.